Sponsored by the Deal Island-Chance Lions Club, this is our main fund raiser for the year. We use the money in our local communities for families in need, scholarships, youth activities, vision research, helping our Deal Island School with art supplies etc. 90% of the money we raise is used in our local community areas. UPDATE: July 26,2015 See the Race Live! From the starting gun, through the middle of the course, to the crossing of the finish line – don’t miss seeing one minute of the 56th Annual Skipjack Race this year. Spaces are limited, so reserve your spot NOW! Call 410-784-2335 for information and reservations. UPDATE: July 9,2015 A souvenir book of 144 pages given to all who attend. The book has information about the festival, articles on skipjacks and on the history and watermen’s culture of Deal Island. There are memorials for families and ads for local businesses and for supporters of the Lions work and the Festival. The book is distributed to all advertisers and other area businesses. UPDATE: July 9,2015 Festival goers can now book a seat on a boat reserved for passengers the day of the skipjack races. Reservations are required and can be made by calling: 410-784-2335 prior to the race. The boat holds 35 passengers and the cost will be $25-$30 per person. 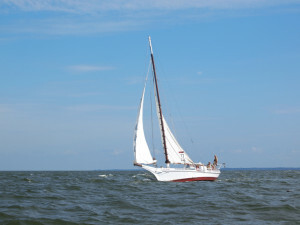 UPDATE: July 9,2015 Invitations are going out to 26 Eastern Shore Skipjacks and their captains for the 56th Annual Skipjack Races to be held on Sept. 7th. ( The list of names of the boats and captains will be published as soon as they are available).